M.P.B. 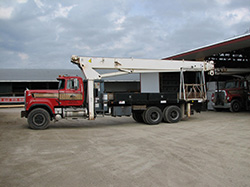 Builders, Inc. has a full line of Cranes and highway drill trucks ready for your next project. They can drill holes from 18" to 48" in diameter and a variety of depths along with Cranes that can reach up to 100'. So whether you are a building contractor or do-it-yourselfer, call M.P.B. 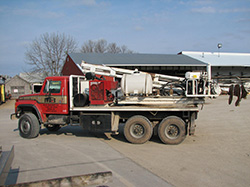 Builder, Inc. for your next custom drilling or Crane project.